It is essential to keep your exteriors as clean as you keep your interiors. It is not only important to maintain the beauty of the house but to protect it from structural damage as well. The roof needs special care since it is susceptible to debris, moss, lichen, mildew and algae build-ups. In order to do roof moss removal in the Vancouver, WA area, you need to hire the services of a reliable service provider. Go with Artisan Window & Gutter Cleaning, as we are one of the most trusted roof moss removal companies around Vancouver. 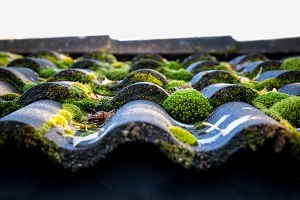 Since 1998, we have been removing moss on roofs in the Vancouver community. Be it a commercial or residential property, we are available for the job. 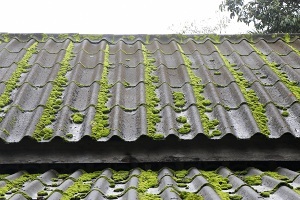 Wondering if moss on a roof is harmful? You ought to know that moss on a roof is one of the biggest problems plaguing home and business owners in this area. 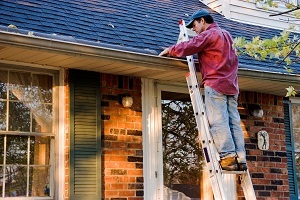 It is important that you do not delay in hiring a removal company to eliminate moss from roof. Our seasoned and well-trained technicians will visit your property when you call us to take care of the moss on your roof. It is always to be remembered that moss removal from your Vancouver property is not a DIY project. It is better to refrain from attempting roof moss removal on your own. Moss removal is both a physical and health hazard that should only be handled by professionals. You do not have the necessary training or equipment needed to climb that high or clean the moss thoroughly. A DIY moss removal attempt may also affect your health adversely. Another important thing to note is that, if you are untrained, you are at risk of damaging the roof, which can cost you big time.